Television personality, restauranteur, raconteur and lover of all things Australian. Before entering TV and hosting 'The Extraordinary', Warwick had a diverse career from playing rugby for NSW, to owning restaurants, charter yachts and fashion boutiques. He entered the theatre in 1970, writing an award-winning play and performing on London's West End and in the USA. In his time with Bright Ideas, Warwick has maintained his interest in other areas - writing and voicing two Poetry CDs and a children’s book. He has also written and hosted TV specials on the history of Rugby and the Olympics, as well as the Supernatural. The next project was writing and acting in a Film for television, followed by three documentaries on the Outback. Warwick tells us that other than spending time out in the bush, his favourite pastime is reciting poetry to pigeons. Aniela joined the ‘Bright Ideas’ team in June 2004 but this is not Aniela’s only job in the media industry. She is also the Associate Producer on the ‘Stan Zemanek Night Time Radio Program’ which can be heard around Australia from 8pm until midnight on the Southern Cross Radio Network. Production assistant on a local Brisbane Movie Program called ‘Popcorn’. Regular on Seven Brisbane’s locally produced lifestyle program ‘The Great South East’. 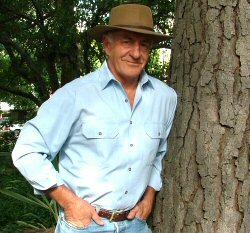 Presenter on Seven’s local fishing and boating show, ‘Creek To Coast’. Auditioned for the Seven Network’s ‘Popstars 2’ and was successful in progressing to the final 12. Aniela worked at ‘Warner Bros Movie World’ on the Gold Coast for five years as a presenter, performer, singer and dancer and represented the Theme Park on various international promotional tours throughout Asia. Was contracted to Conrad Jupiter’s Casino on the Gold Coast and performed in the production of their International show ‘Mystique’ as a chorus dancer. Regular ‘sidekick’ with Australia’s favourite children’s puppet ‘Agro’ making appearances throughout Brisbane shopping centres. Adam is the newest member of the 'Bright Ideas' team. 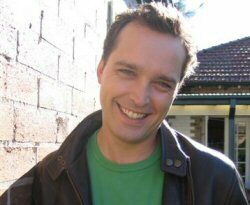 He has been a presenter on Sydney Weekender, Seven News and 11am for the Seven Network and is a highly experienced television producer. Adam's worked as a producer on 'Australian Idol', 'Harry's Practice', 'Good Medicine', 'Animal Hospital', and 'Australia's Most Wanted'. He was a producer and voice over artist on Channel 10's 'The Hothouse' and was the voice of Big Brother during the very first Big Brother series. In 1998 Adam took time out from the television industry to pursue his love of music and formed a successful live covers band. Too cheap to pay a drummer and bass player, Adam kept the band to just two members - himself on guitar and another bloke on vocals. His duo called 'Inversion' played more than a hundred gigs that year and entertained its fare share of out of control Hens nights. These days Adam prefers to spend his time on the golf course. A self-confessed golf nut, he somehow still thinks he's a chance to make the PGA Tour. Keep the dream alive Adam, is all we can say.